Visio Professional 2010 – 1PC provides advanced diagramming tools to help you simplify complexity with intuitive and professional-looking diagrams, dynamic and data-driven visuals, and new ways to share via a browser in real time. 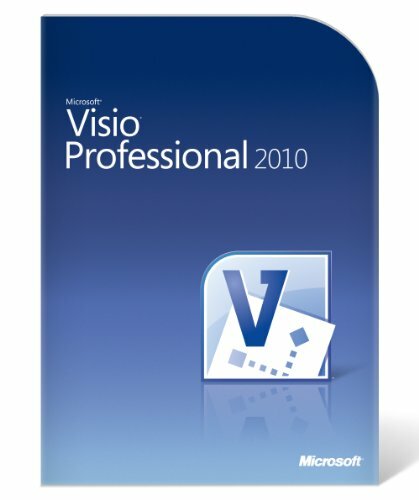 Brand New: This product includes a brand new unused Microsoft Visio Professional 2010 legitimate genuine Retail Key that can be used to activate on the Microsoft Store in any region. Once activated, you will have permanent access to the software, and will be able to deactivate and reactivate on any computer unlimited times. Additional System Requirements This product includes both 32- and 64-bit versions for a single computer. We recommend the 32-bit version, which runs great on both 32- and 64-bit versions of Windows. People who routinely use very large documents or spreadsheets that need more than 2 GB of memory may want to run the 64-bit version, but many common add-ins for Office don’t run correctly in the 64-bit edition. This product includes both 32- and 64-bit versions for a single computer. We recommend the 32-bit version, which runs great on both 32- and 64-bit versions of Windows. People who routinely use very large documents or spreadsheets that need more than 2 GB of memory may want to run the 64-bit version, but many common add-ins for Office don’t run correctly in the 64-bit edition.